Ruby Divine Indian Dining is Great Neck’s newest Indian eatery, which opened in early October after five months of renovations at the former home of Ethos at 25 Middle Neck Rd. The Southeast Asian restaurant hopes to add a little variety to the culinary scene, featuring classic Indian dishes that Great Neck has not seen for a long time. 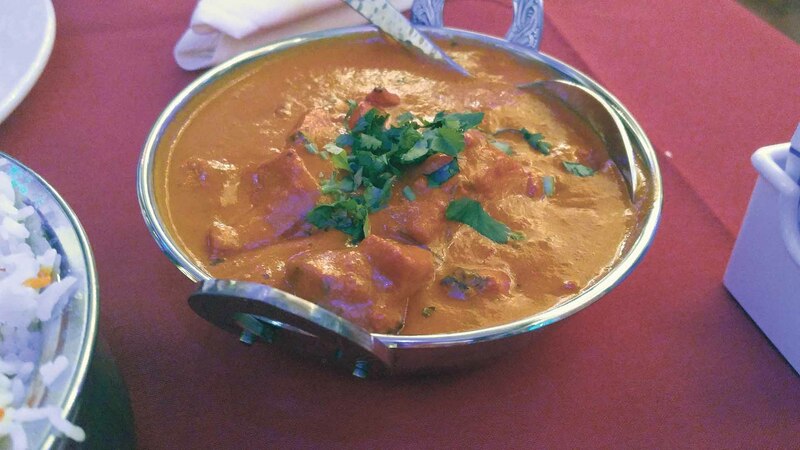 Ruby Divine is a “high-end, full-service Indian restaurant,” said Tilak Shah, one of the two owners. The staff added that the chefs are specially trained in cooking Indian cuisine and have experience at other Indian restaurants. Hoping to impress customers with the decor, Ruby Divine embodies traditional Indian ambiance combined with modern, high-end touches. Tables are covered in red tablecloths with white plates and a candle sitting on top of each one. Traditional Indian ornaments line the walls and a rather upscale bar sits to the right of the entrance. Adding to the formal setting, the staff is extremely attentive and educated about the menu. “The atmosphere at Ruby is designed to host a relaxed and elegant dining room which caters to 45 guests,” said restaurant staff. 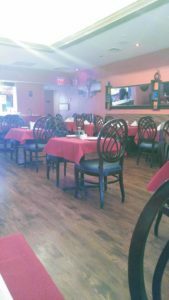 Ruby Divine is one of the only restaurants in Great Neck to feature a lunch buffet seven days a week ($10.95, Monday to Friday; $12.95, Saturday and Sunday). In addition, the eatery offers a full dinner menu with more than 25 appetizers, 15 dishes cooked in a clay oven, 20-plus meat entrées, and upwards of 20 vegetarian meals. Appetizers ($5 to $12) range from classic vegetable samosas stuffed with peas and potatoes, to Chicken 65, which is deep-fried chicken tossed with red chillies and onion, to Amritsari-style fried catfish. Dishes cooked in a clay oven ($16 to $26) range from traditional tandoori chicken, to Chicken Seekh—tender rolls of ground chicken and cashew nut paste. A full selection of meats and fish ($18 to $20) include standouts like Chicken Saagwala, boneless chicken sautéed with sweet spinach; Goan fish curry cooked in coconut milk; and Rara Bhuna Goat cooked in a spicy, aromatic sauce. Vegetable and vegan options ($14 to $15) feature Bhindi Masala, fresh okra cooked with onion and Indian spices; and Yellow Zaffrani Dal, slow-cooked lentils native to Northwest India. Ruby Divine Indian Dining is Great Neck’s newest Southeast Asian eatery. My party ordered the chicken tikka masala with basmati rice and complimentary crispy bread with sambal sauce. The chicken had a rich, sweet taste, cooked perfectly, and had a slight coconut flavor, as well. We also ordered the goat biryani, which is stewed goat with sautéed basmati rice, vegetables and spices. 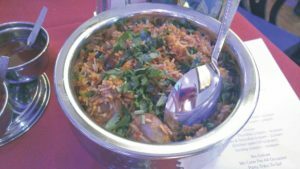 This dish was the best rendition of biryani I have ever tried: The goat was fall-off-the-bone tender, the rice was plentiful and spicy, and the cilantro added a freshness. Ruby Divine is definitely a recommended restaurant to try in Great Neck; with experienced chefs, stunning ambiance and standout food, this new Southeast Asian eatery is sure to impress, even if it’s a tad pricey.